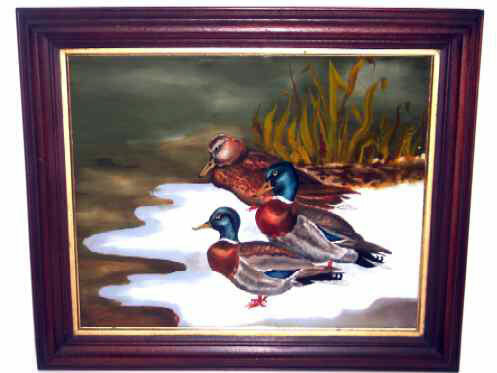 Presented here, a Reverse Painting on Glass of Mallards in a snowy marsh. Charming and wonderful, the artist really catches the "essence" of the birds. Sight size is 15-1/2" x 12-3/4" and the condition is very fine. The painting is framed in an old Mahogany frame with lemon gold liner that sets it off perfectly.